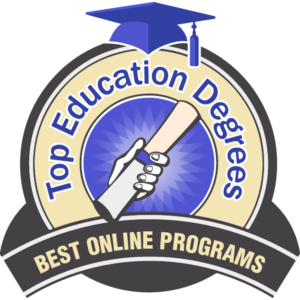 If training children is where your interests lie, then this list of the top 20 best online bachelor’s in early childhood education degree programs is for you. We started with a list of more than forty and narrowed it down by looking at national recognition and tuition value, as well as institutional support for students and curriculum relevancy. Online bachelor’s programs are designed to work with your schedule and responsibilities. Online college results in the same degree as traditional college but requires a slightly different skill set. Most schools include a quick assessment on their website which can tell you where you stand in relation to these skills. There are also technical and hardware components to online school, but if you were able to access this article on your own, you could probably handle that aspect. The student to faculty ratios and enrollment numbers come from the National Center for Education Statistics, a service of the US government. The tuition numbers in the bullet points are also from this website. They are out of state tuition figures for the publicly funded schools. Any tuition figures quoted in the school review come from that school’s website. The rankings were compiled by assessing schools for tuition value (10 points), curriculum relevancy (10 points), and the amount of individual attention you can expect from your professors as represented by the student to faculty ratio (10 points). A bonus of five points was awarded for national recognition of excellence in the online program and the presence of a discounted tuition rate for online students. In the case of a tie, the schools were listed in order of decreasing tuition. 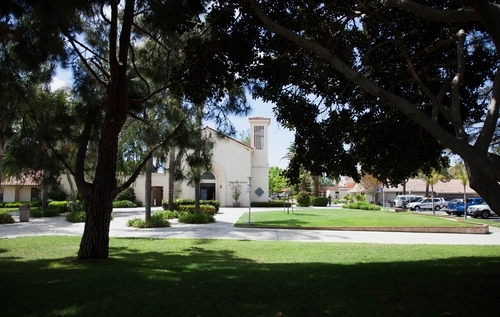 Vanguard University of Southern California was the first four-year, degree-granting institution established by the Assemblies of God. With a student to faculty ratio of 15:1, their online bachelor of arts in early childhood education is a 124 credit hour program including the courses math and science for the young child and advanced administration of early childhood education. 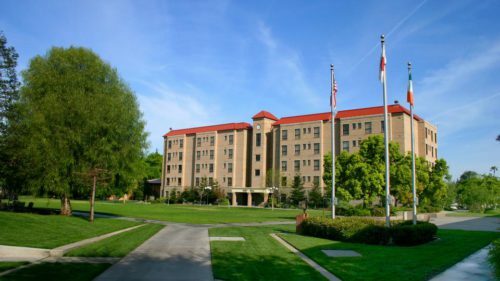 Vanguard University of Southern California is accredited by the Western Association of Schools and Colleges. 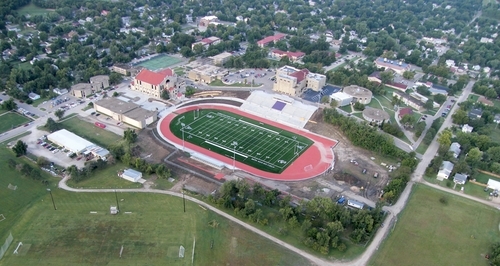 Starting out as a cornfield in 1968, Mount Vernon Nazarene University has come a long way by relying on its firm foundation in the Church of the Nazarene. With a student to faculty ratio of 13:1, their online bachelor of arts in early childhood education contains coursework in foundations of education and TESOL. The career development office at Mount Vernon Nazarene University can assist you in your well-targeted job search as you approach graduation. They are accredited by the Higher Learning Commission of the North Central Association of Colleges and Schools. Fresno Pacific University awards each online student a dedicated success coach to help find solutions to problems along the way. With a student to faculty ratio of 13:1, their online bachelor of arts in early childhood development is a degree completion program, offering upper-level coursework to individuals who hold an associates degree. It is a 60 credit hour program including the courses of early child growth and development and human diversity and relations. They are accredited by the Western Association of Schools and Colleges Senior College and University Commission. Southwestern College’s division of professional studies seeks to offer undergraduate and graduate educational opportunities online to non-traditional students. With a student to faculty ratio of 8:1, their online bachelor of arts in early childhood education is a 124 credit hour program including coursework in educational psychology and infant development. Southwestern College’s office of career services offers academic success coaches that can help you with your job search. They are accredited by the Higher Learning Commission of the North Central Association of Colleges and Schools. 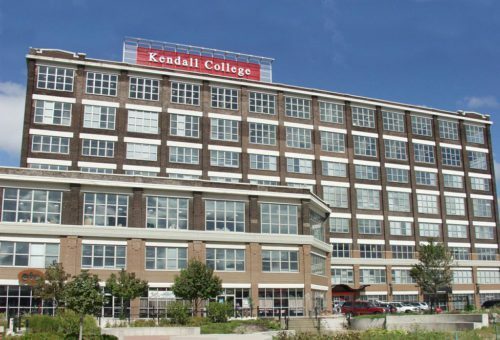 Kendall College prides itself on developing the following values in its students: ethical standards, social responsibility, entrepreneurial spirit, global mindset, and growth mindset. With a student to faculty ratio of 8:1, their online bachelor of arts in early childhood education is a 180-183 credit program that does not include licensure, but does include 92 credits in the major. The career services office at Kendall College offers assistance on job search skills for students and alumni. Kendall College is accredited by the Higher Learning Commission of the North Central Association of Colleges and Schools. 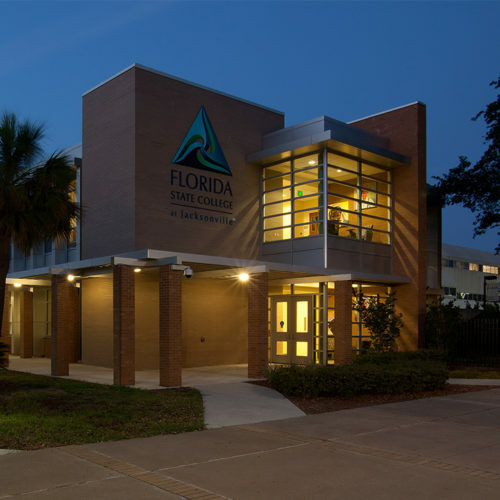 Florida State College at Jacksonville is in the top 25 of the most affordable public, four-year schools in the nation. With a student to faculty ratio of 23:1, their online bachelor of science in early childhood education is a 120 credit hour program including coursework in diversity of teachers and educational technology. The career development office at Florida State College at Jacksonville offers personalized attention to start you on your chosen career path. They are accredited by the Southern Association of Colleges and Schools Commission on Colleges. 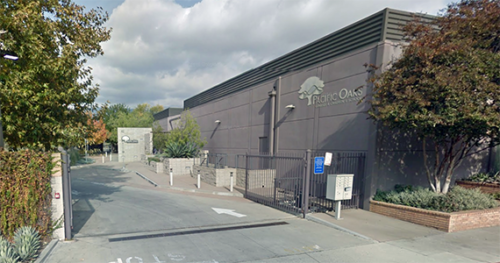 Pacific Oaks College is proudly rooted in the social justice heritage of its Quaker founding principles. With a student to faculty ratio of 6:1, their online bachelor of arts in early childhood education is a degree completion program for individuals who already possess 60 credit hours of lower level college coursework or an associates degree. Two specializations and two credentials are available. 63 units are required for program completion including coursework in creating inclusive environments and the creative arts in early childhood. They are accredited by the Western Association of Schools and Colleges Senior Colleges and Universities Commission. 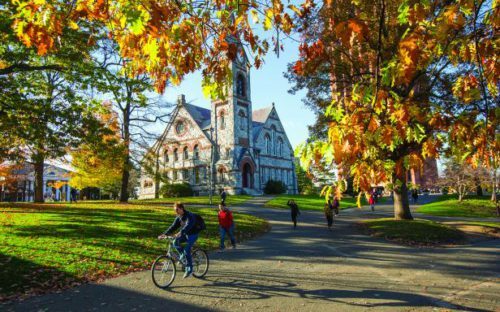 The University Without Walls of the University of Massachusetts Amherst is a degree completion program for individuals with an associates degree or 60 hours of lower level coursework, and they were ranked #24 in US News and World Report’s list of the Best Online Bachelor’s Programs. With a student to faculty ratio of 18:1, their online bachelor’s in early care and education includes coursework like survey of children’s literature and foundations of education. They offer credit for life experience including the training that Montessori teachers receive. They are accredited by the Commission on Institutions of Higher Education of the New England Association of Schools and Colleges. 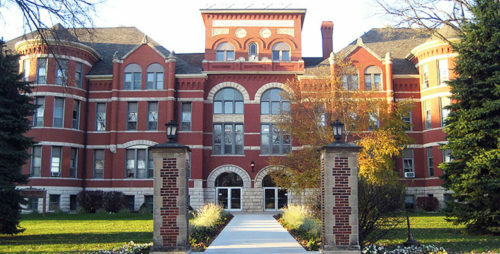 Concordia University is one of ten schools founded by the Lutheran Church, Missouri Synod. They have been offering online degrees since 2002. With a student to faculty ratio of 17:1, their online bachelor’s degree in early childhood education is a degree completion, non-licensure program with coursework in child safety and protection and partnering with families. 124 credit hours are required to graduate. They operate on a 7.5 week course schedule. They are accredited by the Northwest Commission on Colleges and Universities. The University of Nebraska – Kearney is one of four institutions in the University of Nebraska system. With a student to faculty ratio of 14:1, their online bachelor of arts in education with emphasis in early childhood inclusive has two specializations available, birth through kindergarten and age 3 to grade 3. This is a bachelor’s degree completion program open to people with associates degrees or 60 hours of lower level coursework. The office of academic and career services of the University of Nebraska – Kearney can help you polish your academic skills or your resume. They are accredited by the Higher Learning Commission of the North Central Association of Colleges and Schools. 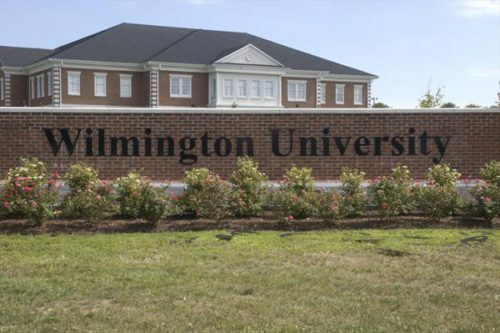 Wilmington University is a private, non-sectarian university that has been serving the Northeast corridor since 1968. With a student to faculty ratio of 14:1, their online bachelor of science in education studies, early childhood education (non-licensure) is a 122 credit hour program including the courses creating environments for learning and health, safety and nutrition. The career services office at Wilmington University offers job search services for students and alumni. 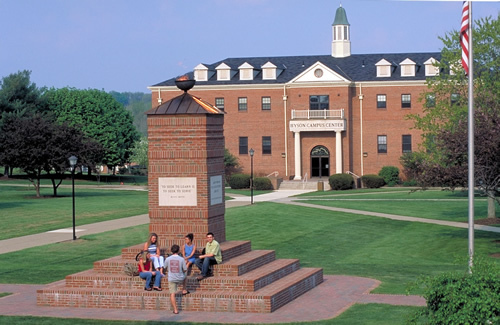 Wilmington University is accredited by the Middle States Commission on Higher Education. 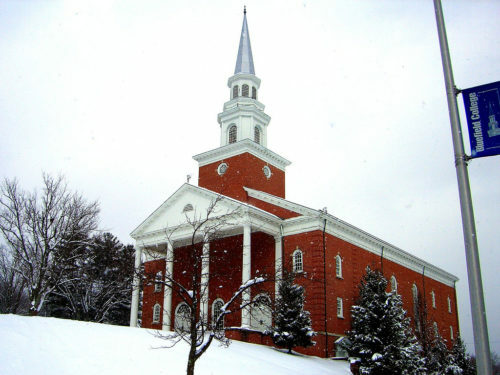 Bluefield College is a Baptist-affiliated school that stresses leadership in the Christian tradition. They were ranked #165 in US News and World Report’s list of the Best Online Bachelor’s Programs. With a student to faculty ratio of 16:1, their online bachelor of science in early childhood education (Non-Licensure) is a 127 credit hour program requiring coursework in safe and healthy settings for the young child and creative development. They are accredited by the Southern Association of Colleges and Schools Commission on Colleges. 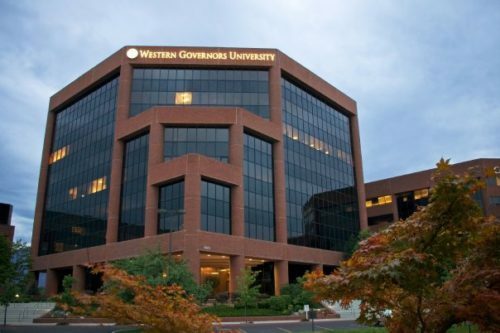 Western Governors University has not raised tuition since 2008. They charge tuition at a flat rate in six-month increments, so if you complete more courses per term, you can save time and money. Six-month terms start the first of every month, so you don’t have to wait for spring or fall. With a student to faculty ratio of 41:1, their online bachelor of arts in interdisciplinary studies (elementary education) is a program requiring 122 competency units for graduation, including the courses teacher education foundations and instructional planning and presentation. 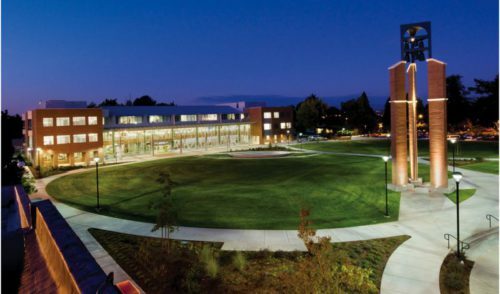 Western Governors University is accredited by The Northwest Commission on Colleges and Universities. California Baptist University was founded in 1950 by the California Baptist Convention. California Baptist University Online was formed with the non-traditional student balancing work and family responsibilities in mind. They were ranked #8 in US News and World Report’s list of the Best Online Bachelor’s Programs. With a student to faculty ratio of 18:1, their online bachelor of arts in early childhood studies requires 48 credit hours in the major, including the courses of early childhood curriculum and the exceptional child. California Baptist University Online is accredited by the Western Association of Schools and Colleges Senior College and University Commission. Notre Dame College was founded in 1922 as a Catholic institution in the tradition of the Sisters of Notre Dame. With a student to faculty ratio of 14:1, they offer an online bachelor of arts in education with an early childhood education licensure (pre-K through 3). Non-traditional online bachelor’s students are eligible for a discounted tuition rate of $475 per credit hour. Further tuition discounts are available for eligible members of the United States Armed Forces. They are accredited by the North Central Association of Colleges and Schools. Every online bachelor’s candidate at Florida International University is paired with a success coach to help with any obstacles that crop up on the path to academic achievement. They were ranked #54 in US News and World Report’s list of the Best Online Bachelor’s Programs. With a student to faculty ratio of 25:1, their online bachelor of science in early childhood development track is a 120 credit hour program including coursework in classroom management and educational psychology. 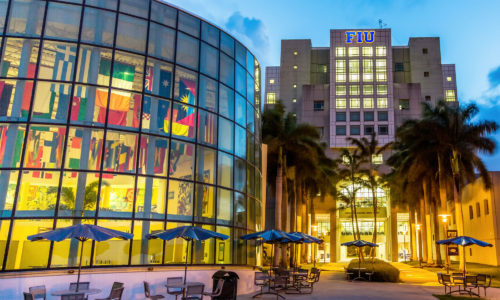 Florida International University is accredited by the Southern Association of Colleges and Schools Commission on Colleges. The University of Toledo is a student-centered, publicly funded research institution in the state university system of Ohio and they were ranked #142 in US News and World Report’s list of the Best Online Bachelor’s Programs. With a student to faculty ratio of 20:1, their online bachelor’s degree in early childhood education (non-licensure track) is a degree completion program. This is intended for individuals who hold an associates degree in early childhood education from an accredited institution. They are accredited by the Higher Learning Commission of the North Central Association of Colleges and Schools. 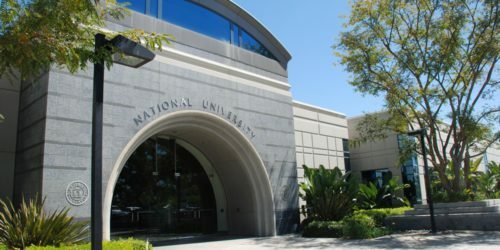 National University is a private, non-profit school that has been in operation since 1971. They claim dedication to educational access and academic excellence and were ranked #119 in US News and World Report’s list of the Best Online Bachelor’s Programs. With a student to faculty ratio of 20:1, their online bachelor of arts in early childhood education requires 180 quarter units including coursework in the growing child and health, nutrition, and safety. 45 quarter units must be completed at National University for matriculation. They are accredited by the Accrediting Commission for Senior Colleges and Universities of the Western Association of Schools and Colleges. Virtual College students at Fort Hays State University are charged a special tuition rate of $213.33 per credit hour with no additional online coursework fees, which is uncommon. They were ranked #15 in US News and World Report’s list of the Best Online Bachelor’s Programs. With a student to faculty ratio of 16:1, their online bachelor of science in early childhood unified (the unified portion contains special education coursework) is a 127 credit hour program including 40 credit hours in the major and 20 credit hours of professional studies. 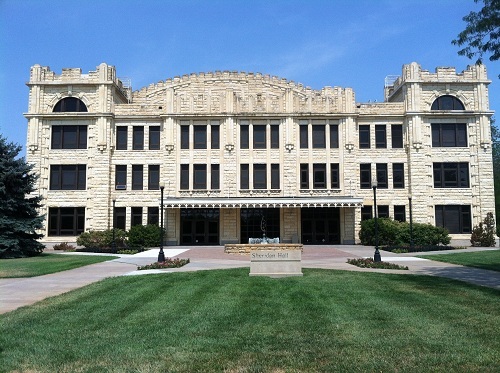 The Virtual College at Fort Hays State University is accredited by the Higher Learning Commission of the North Central Association of Colleges and Schools. Mayville State University espouses the core values of integrity, leadership, and community, among others, and posts a student to faculty ratio of 15:1. Their online bachelor of arts in early childhood is a 120 credit hour program that offers four specializations: administration, infant/toddler, after school, and special needs/paraprofessional. Mayville State University’s online and distance courses have a tuition rate of $293 per credit hour including tuition and fees. They are accredited by the Higher Learning Commission of the North Central Association of Colleges and Schools. 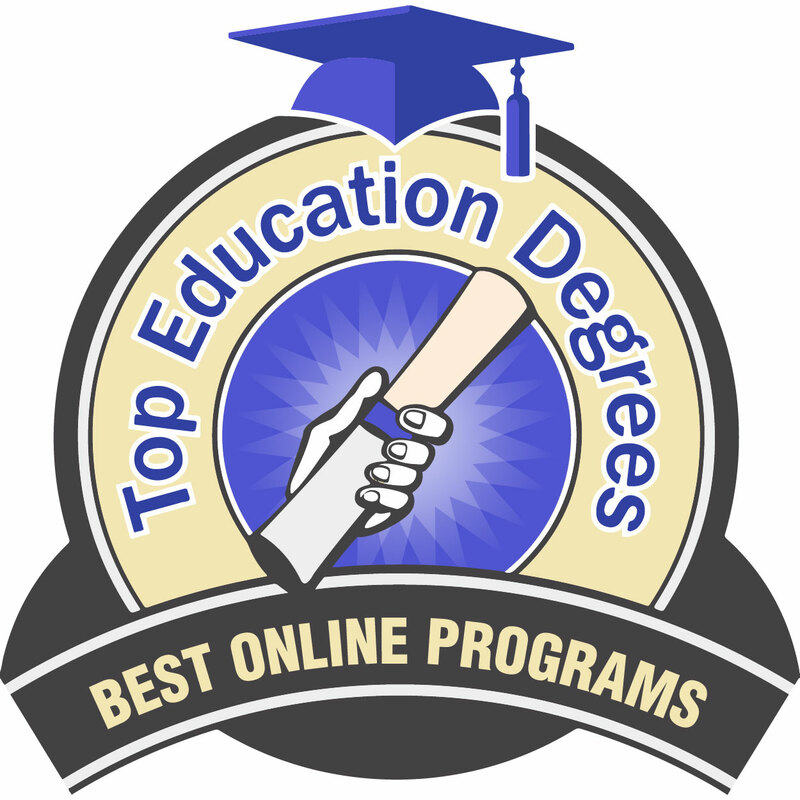 This concludes the list of the top 20 best online bachelor’s in early childhood education degree programs.